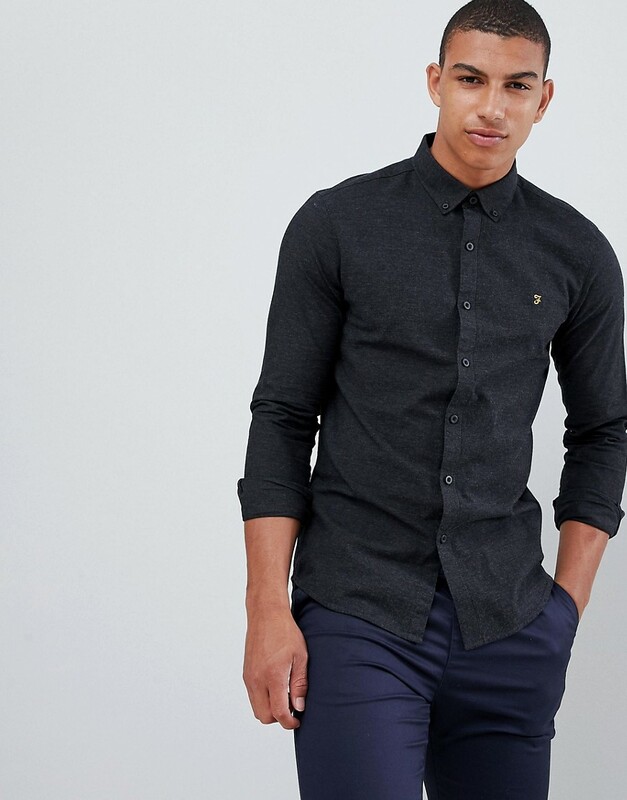 Shirt by farah, button-down collar, button placket, logo detail to chest, slim fit, a narrow cut that sits close to the body. From their birth in the 1920s, farah has been adopted by subcultures across the board; from mods to skins and rockabillies. Renowned for their classic canvas slacks and sharply cut tailoring, farah retains its heritage across a collection of slim fitting polo shirts and checked flannel shirts.